Join us at 95.9 The Fish Radio Women’s Night Out and shop gorjana’s beautiful collection of Power Gemstones while experiencing an evening dedicated to empowering and inspiring women! Thanks to our friends at gorjana Laguna Beach, 50% of all sales will benefit Miracles for Kids and our mission to improve the lives of critically-ill children and their families in need. Program is followed by a Social Hour with free coffee, food, shopping, photo booth, meet & greet, and more! 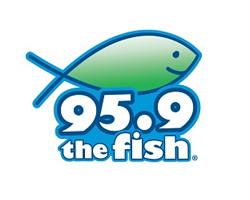 Attendance is free, but registration through 95.9 The Fish Radio is required. RSVP does not guarantee seats – seats available first come, first served.